Wine Pairing Weekend - #winePW - happens on the second Saturday of the month. And this month David from Cooking Chat is hosting a recap of what we opened for Open That Bottle Night (OTBN)*. Click to read his invitation: here. If you're reading this early enough, we'll be chatting on twitter, using the hashtag #winePW, on Saturday, March 12th at 11am EST. Cheers! *Note OTBN was on February 27. Today, we’re sharing what we uncorked and what we paired with it. I had never heard of OTBN before last year. The idea is that you open a special bottle that you've been squirreling away for one reason or another. If you've been saving a special bottle for an equally special occasion, here's your excuse! I decided that my special bottle was going to be a wine from Dracaena Wines. Though I've never met Lori and Mike in real life, through our blogosphere connection, I feel as if I know them and have been very protective, read "stingy", with the bottles of wine I ordered from them. I could have opened them during the holidays to share with extended family and friends. But, no, I tucked the bottles away for a special date night at home. The kids were watching a movie with friends. Jake and I were home alone...so I eagerly uncorked Dracaena's 2013 Cabernet Franc. Cabernet Franc resembles Cabernet Sauvignon in its aroma, flavor, and appearance though the former tends to be lighter in color than latter. 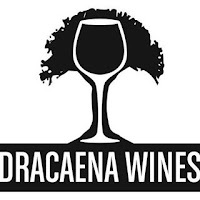 Dracaena's 2013 Cabernet Franc was harvested in November 2013 and crafted with a blend of 85% Cabernet Franc and 15% Petit Sirah before being aged in French oak barrels for two years. The color of inky blackberries, I got lots of woody spices on the nose and berries tinged with violets on the tongue. What a gorgeous wine! Inspired by the distinct spices in the wine, I decided to make a Steak au Poivre et Thé from Culinary Tea. I had some Black Dragon Pearls where each tea pearl is comprised of 30 handpicked leaves and buds. They are rolled immediately before the leaves can dry. They are so pretty! Place 1 T tea in a small bowl. Pour boiling water over it and let steep for four minutes. Strain and set aside. In a spice grinder, add 1 T tea, peppercorns, and allspice. Grind coarsely and turn out on a plate. Preheat the oven to 250 degrees F. Sprinkle the steaks with salt and press them into the tea-peppercorn mixture. Melt 1 T butter in a large, flat-bottom pan and place smashed garlic into the pan. Sear the meat until well-colored, approximately 4 minutes on each side. Move the steaks to an baking dish and transfer them to the oven to keep warm. Melt 1 T butter into the pan. Add the onions and cool until translucent and beginning to caramelize. Pour bourbon and reserved tea into the pan. Cook until reduced and syrupy. Add the cream and let it thicken until the sauce coats the back of a spoon. Adjust seasoning as desired. To serve, place the steaks on a plate. Spoon the sauce over the top. Serve immediately. foodwineclick posted Are You Kidding Me? Rosé for OTBN? Creative recipe! And I've got to try this cab franc! Would appreciate it David, and look forward to hearing your thoughts. I like the addition of tea to the pepper, looks good! Very decadent! I can just taste the steak with the wine! Great looking dish Cam! I have a confession, while I greatly admire you dishes, I don't really think about making them. I sure your culinary skills are waaay beyond mine. Plus, you're mad genius;-). I might be tempted to try this one though! Thanks, Martin. Mad genius? I love it. Definitely try this one. I am so honored that you chose our wine for #OTBN. Thank you for our kind word about our Cab Franc. Your meal looks AMAZING! So unique and I love the use of the tea! Thanks. I was so excited to have a great excuse to open it...and not have to share with anyone except my Love!